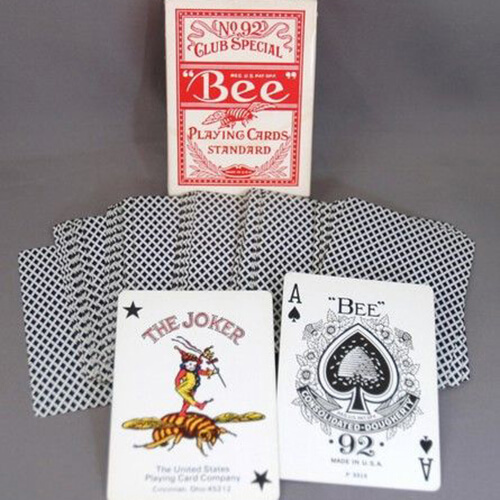 As world of leading casino playing card, Bee playing cards have been setting the standard for quality since 1892. With their patented coating and unique finish, Bee Standard No.92 deck last longer and give your games superior slip, snap and feel. These standard size poker cards are suitable for all card games. A soft finish, lack of borders, and casino grade quality stock make Bee playing cards the preferred deck among casinos, gamblers, and serious card technicians.